"Let me present my seventh new wonder .... The salon mirror "Naomi" has enthralled me". 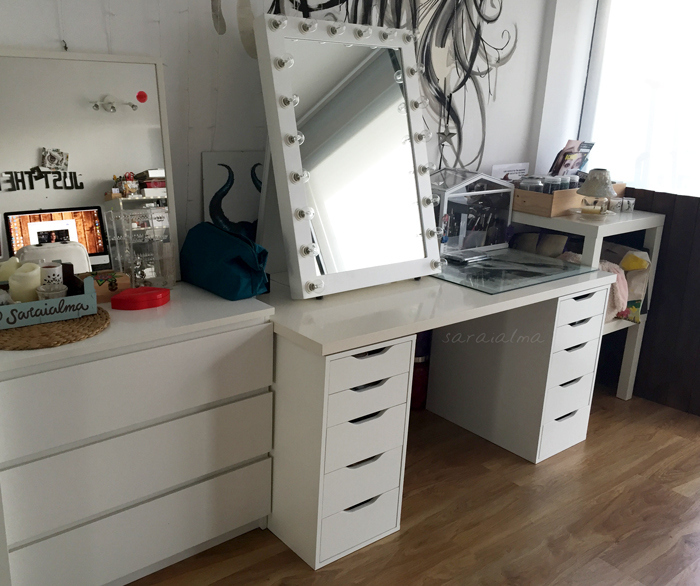 That is what the spanish blogger and makeup artist Saraialma writes about our salon mirror in her blog. We love her pictures and are so delighted to share this as lovely thursday inspiration. 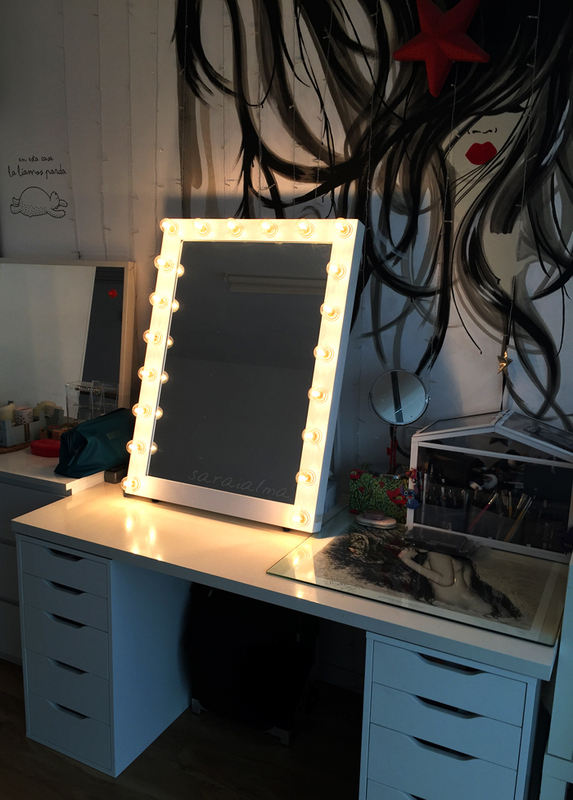 "The truth is that was my craving for this mirror ... was HUGE, you have other models such as Estelle that is smaller and more manageable, or if you want to feel like a movie star you can have this wonder in your closet, the model Uma is already a superstar hahaha"
Everything comes complete with installation and a cable made with a dimmer switch. 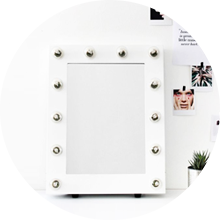 You have the possibility to hang the mirror and stand it anywhere as it has one foot to support it. I like it so much that I would leave in the middle of the study to worship"
Read more and see Saraialma's pictures HERE. 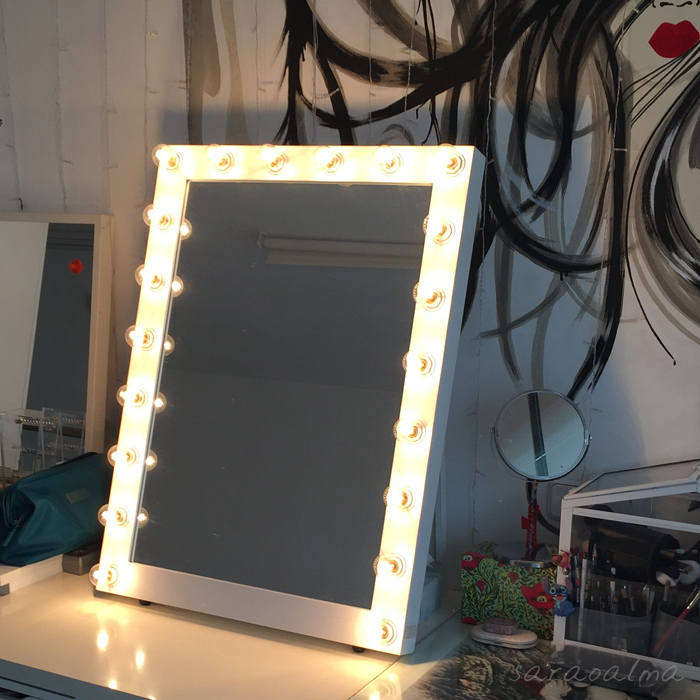 Shop Naomi salon mirror HERE.